Ok. So Giorgio is a consulting producer of the show and he is also the editor of “Legendary Times”, a journal based on ancient alien theory. 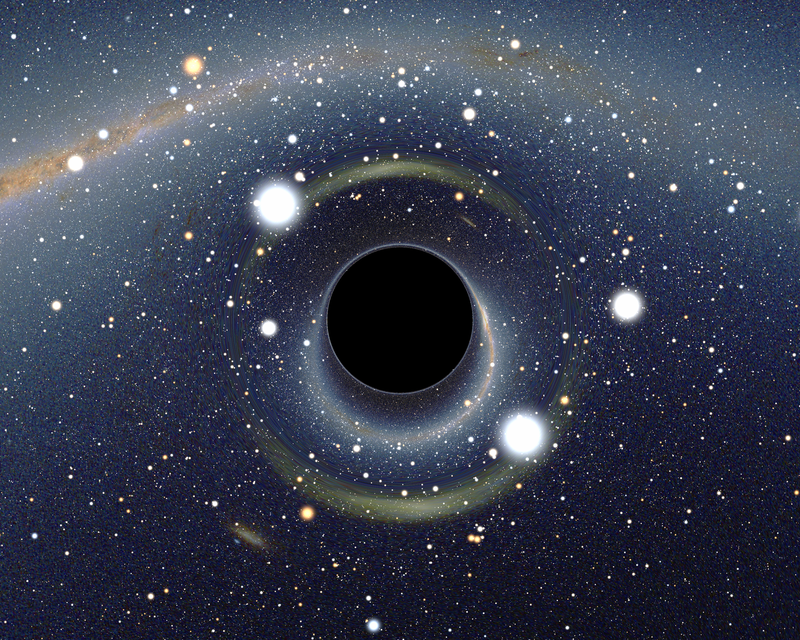 I enjoy theories of black holes: region of space where nothing escapes. Around a black hole there is a surface called an event horizon that marks the point of no return. It is called “black” because it absorbs all the light that hits the horizon, reflecting nothing (See: Wikipedia.com/Black hole). The show indicates how aliens may be able to travel through these black holes and are, or were able to come to Earth. The theories go as far as aliens being responsible for ancient temples and providing the tools and the information needed to build such wonders. It is believed that our ancestors were visited and inspired by aliens, and that even great prophets may have been descendants of aliens. Therefore, some of these great prophets were able to inspire people, educate the world on how to live, and even ascend into “heaven” which was actually a spacecraft. So there are no angels with wings, or magic carpets, or genies. These were aliens that resembled people and educated our ancestors. Ok. Let me start with my discussion of the issues I am finding with these theories. Yes. Our ancestors may have not had the tools, education or resources, to be able to build such monuments like the pyramids of Egypt. However, who is to say that they were not advanced? All we can go by is the historical records. We were no there to physically analyze what types of people they were or where they got their inspirations. I do not think it is fair to say “they were too dumb to come up with that”. Yes. In the beginning nature may have done some experimentation before humans came into the picture. Like creating half human and half donkey types of people, or mermaids. There is a reason why humans have had this idea engraved in their heads, and I do belive it is not a coincidence. I do believe that all life began in water. However, there are theories that state that aliens experimented with humans and animals before creating us. I am not sure about alien experimentation, but we must also account for evolution and extinction. There may have been animals that resembled a half human and half goat, but they simply went extinct and unfortunately there is no evidence. Also, as much as I love hearing about the possibility of another life in another planet…Why would aliens come here to help us? What was their motive? Why give us the power and the knowledge that makes “them” advanced? I have heard theories that we may be aliens and part of our DNA may be alien. This is far-fetched but may not be so far-fetched. We are the only mammals that actually have a conscience and a very advanced brain. Also, most of our DNA is mostly a bunch of repetitive “junk”, so where did the actual “human” part come from? Again, we must give credit to evolution. If we were able to evolve from a tiny cell, why not evolve into the species we are today? Lastly, all these theories about aliens visiting us and inspiring us makes me a bit uneasy. Our ancestors used art to represent what they saw in their daily lives. They drew what they saw. If they saw human like figures with wings and described it as an angel, it probably was. If they drew a magic carpet, it probably was a carpet and not a spacecraft. I think that sometimes we must read the messages for what they are, instead of over analyzing. All of these theories about how angels visiting Earth were nothing more than extraterrestrials, does not sit well with me. We must give credit to our ancestors. This does not confirm the fact that worship of a God or many Gods, has been a part of cultures from the beginning of time. It is something that I believe is encoded in our DNA. If angels do not exist, what happens to those great shows like A Haunting or Paranormal State? They have loads of evidence of ghosts and demons. It may be debatable evidence but so are these theories. 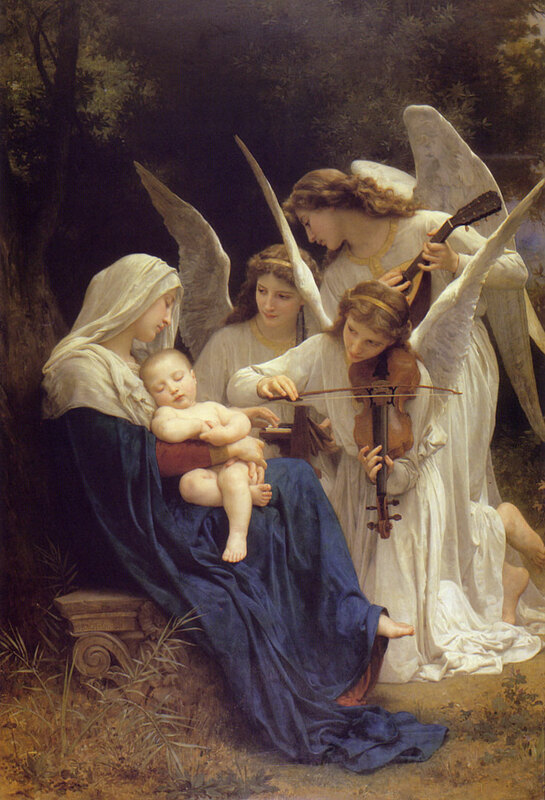 ***Images were obtained from: http://en.wikipedia.org/wiki/Black_hole and http://en.wikipedia.org/wiki/Angels. I am a U.S. Navy housewife. Sometimes I ponder, “How on earth that I get here?” I went to college, had a job in the financial services industry and had my place by the beach. Don’t get me wrong. I love my husband and I have gotten used to my life and my husband’s career. I would not trade it for anything !!!! I knew the advantages and disadvantages of being a military spouse. I know there are many other bloggers that are in the same circumstance as I am. For those of you that do not know, it is a big sacrifice for spouses and partners as well. It is an honor to support my husband in his career. 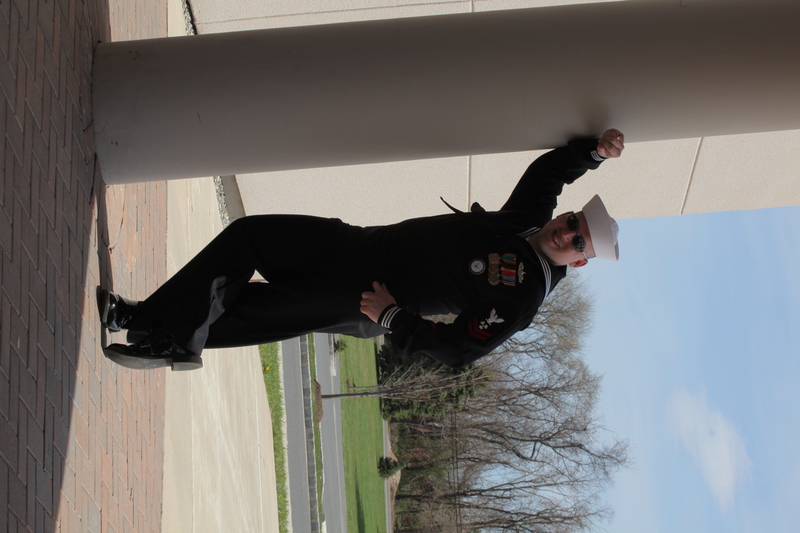 However, there are times where I do not look forward to the Navy protocol or way of life. Let me not forget the dreaded deployment that most service men and women must undertake. For the Navy wife this could mean 6 months to 1 year of not seeing your spouse. You may or may not be near relatives, as he or she may be stationed in a state that is not familiar to you. You will need the strength of Hercules, the emotions of a crocodile and the determination of a lion to survive alone. You will have to get out there and meet new friends, attend doctors’ appointments alone, tend to the children and manage the household all by your self. There are times when no one will be around to lend you a hand, and there will be times when you will not be in contact with your spouse. Therefore, you have to be creative, resilient and very independent. Then there is the employment search. Military spouses have a far more greater challenge that just finding a job, it is also finding a career that can move with you. There are companies out there that have sites in other states and they may grant you a transfer. However, these days you would need to apply for another position in another state, and pray that you get chosen so that you can remain with the same company. If the company you are with does not operate in other states, then each time you move you will need to apply to a different place of employment. Therefore, some of us have to take a job that is not too serious or with too much commitment, as we know we are destined to be leaving sooner than later. It is important that we do our research and not just choose a job for the sake of having a job in this economy; we also need to ensure that the job is military spouse friendly. What does that mean? 1. The company must be reasonable and understand that if your spouse has orders to transfer to another state, they must allow you to resign and dismiss any contracts you may have with such company. 2. If you are the one with orders, the company must ensure that while you are away serving our country, they must have a position for you when you get back from your duties. 3. Military friendly companies hire military spouses and such, to use them as temps and temp to hire. This way they do not have to pay a temp agency to find them employees. Instead, they can hire military spouses without having to pay huge finders fees and still used them as temps. It is Win Win for all !!! 4. The company has a contract with a department of the military to provide services, and as such it provides jobs to military members and their families. There are many other meanings of what a military friendly company is and what it provides, but I wanted to give you an overview. So besides the constant moving, the constant job search and the possibility that your husband may get deployed, there is the DRAMA. Yes! There is a lot of drama when your life revolves around the military. Not the kind that you act out in plays and motion pictures, but the kind that is REAL. There is my least favorite of all: family drama. Then there is money drama, spouse drama and many others. This can take a heavy toll emotionally, financially and health wise to any person. Family drama is the worse for me because is the one that I have been dealing with for the past three years, and it is the one that takes an emotional toll on a person. If you are emotionally drained and exhausted, it makes it more difficult for you to be able to cope with the loneliness, the hardships, and the day-to-day issues that arise in your household; especially if you are living in a military household. It took me a while to get over how many people simply do not understand what it takes to be in the military, yet alone a spouse to someone serving our country. If there is one thing that has always helped me is patience. If you are a military spouse you will need a lot of PATIENCE to deal with family members, your own family and the world. People simply don’t get it and they are only used to what they watch on T.V., or the stories grandpa tells them from WWII. The reality is that I did not even know all the details of what it takes to be a military spouse until I became a Navy wife. On a side note, this is my last year in PA. We get to choose our next location soon. It is a temporary location, as the Navy may change these orders and we actually won’t know for sure until we are packing those tan/brown moving boxes again! My husband will be preparing to go on a deployment. Time to start preparing for this difficult time. This post is dedicated to all the military spouses out there. May God bless us all!!!! As always please subscribe to my blog if you like what you are reading, and comments are welcome!! !